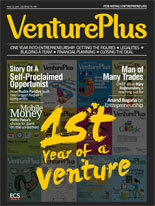 VenturePlus is a monthly magazine in English that caters to the ideas and aspirations of young Nepali entrepreneurs. Its content is full of stories that act as a guide to aspiring entrepreneurs, with tips and suggestions from more experienced parties. In-depth, inspirational features on entrepreneurs and entrepreneurship allow aspiring entrepreneurs to understand the challenges before they set out with their ideas. All of this is packaged with a design that is young, playful and fun, drawing a perfect line between work and play, just like entrepreneurs do. Local entrepreneurs and entrepreneurial ideas in the fields of technology, art, culture, media, agriculture, tourism, food etc.